SWISS will be ushering-in a new era in the history of its long-haul aircraft fleet next January with the arrival of the first of its nine new Boeing 777-300ERs. In SWISS configuration the new twinjets will seat 340 passengers. SWISS will be ushering-in a new era in the history of its long-haul aircraft fleet next January with the arrival of the first of its nine new Boeing 777-300ERs. In SWISS configuration the new twinjets will seat 340 passengers. 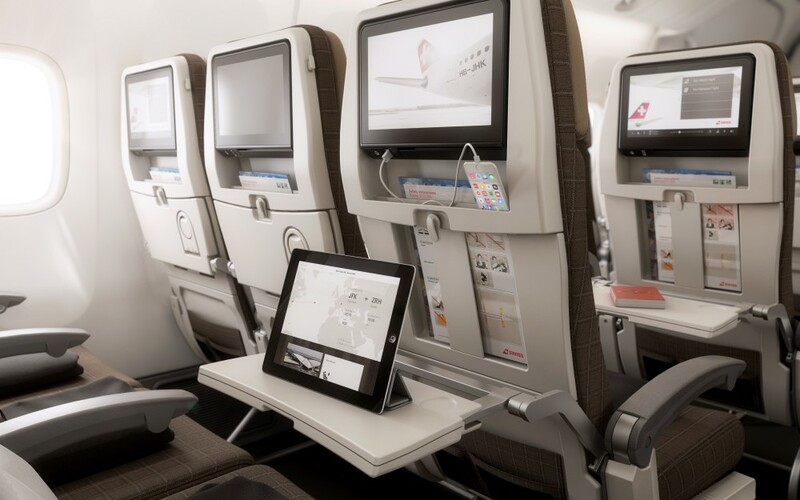 They will also offer a state-of-the-art cabin product in all three seating classes, including wireless internet connectivity. The ‘Triple Sevens’ will be deployed on routes to and from Asia, South America and the US West Coast from the 2016 summer schedules onwards. As a further element in its ‘Next-Generation Airline of Switzerland’ strategy, SWISS will begin the renewal of its long-haul aircraft fleet in 2016. A total of nine new Boeing 777-300ERs (the ‘ER’ stands for ‘extended range’) will be gradually assimilated into the fleet from the beginning of next year. The new aircraft will also result in the creation of 360 new cabin crew jobs within the next years. 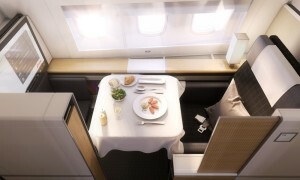 The Boeing 777-300ER offers the ideal range to serve SWISS’s farthest destinations non-stop from Switzerland. From the 2016 summer schedules onwards, the new aircraft will be deployed primarily on services to Hong Kong, Bangkok and Los Angeles. And San Francisco, São Paulo and Tel Aviv will also receive Boeing 777 service several times a week. Swiss International Air Lines (SWISS) is Switzerland’s national airline, serving 106 destinations in 49 countries from Zurich and Geneva and carrying over 16 million passengers a year with its 95-aircraft fleet. The company’s Swiss WorldCargo division provides a comprehensive range of airport-to-airport airfreight services for high-value and care-intensive consignments to some 120 destinations in over 80 countries. As “The Airline of Switzerland”, SWISS embodies the country’s traditional values, and is committed to delivering the highest product and service quality. With its workforce of some 8,250 personnel, SWISS generated total operating income of CHF 5.2 billion in 2014. SWISS is part of the Lufthansa Group, and is also a member of Star Alliance, the world’s biggest airline network.